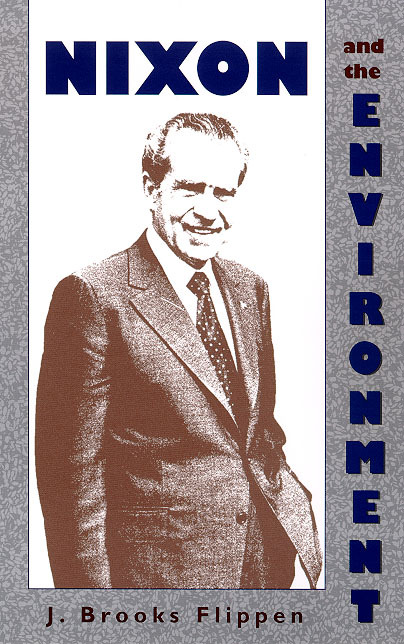 No one remembers Richard M. Nixon as an environmental president, but a year into his presidency, he committed his administration to regulate and protect the environment. The public outrage over the Santa Barbara oil spill in early 1969, culminating in the first Earth Day in 1970, convinced Nixon that American environmentalism now enjoyed extraordinary political currency. No nature lover at heart, Nixon opportunistically tapped the burgeoning Environmental Movement and signed the Endangered Species Act in 1969 and the National Environmental Protection Act in 1970 to challenge political rivals such as Senators Edmund Muskie and Henry Jackson. As Nixon jockeyed for advantage on regulatory legislation, he signed laws designed to curb air, water, and pesticide pollution, regulate ocean dumping, protect coastal zones and marine mammals, and combat other problems. His administration compiled an unprecedented environmental record, but anti-Vietnam War protests, outraged industrialists, a sluggish economy, the growing energy crisis, and the Watergate upheaval drove Nixon to turn his back on the very programs he signed into law. Only late in life did he re-embrace the substantial environmental legacy of his tumultuous presidency. J. Brooks Flippen is an associate professor of history at Southeastern Oklahoma State University.